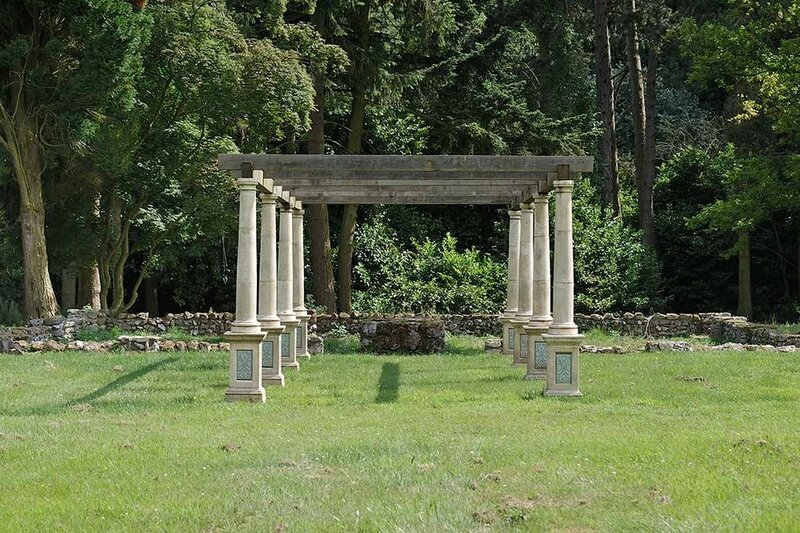 A beautiful antiqued bath reconstituted stone Pergola with solid oak beams (other woods available) designed for climbers such as Rose, Wisteria, Jasmine, Clematis and Honeysuckle. 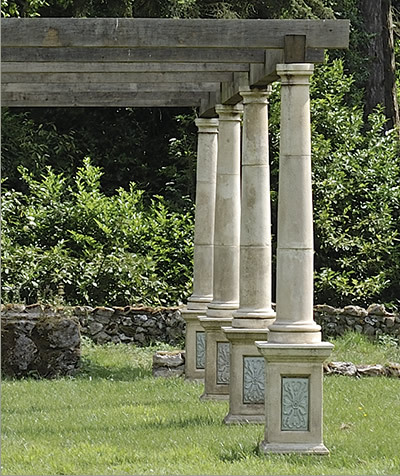 Each Tuscan column has an intricate and ornate composite lead panel inlaid into the base. A full installation service is available in the UK. Width 264cm (8' 8") - Can be made to any width.